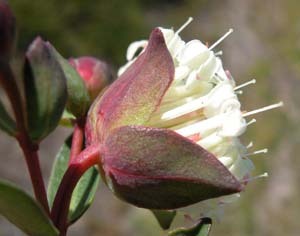 Pimelea linifolia is a very widespread and common shrub species. 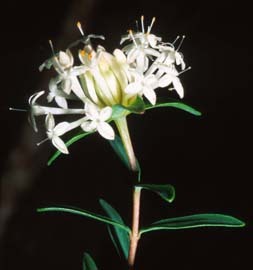 It is an erect shrub with narrow, hairless, opposite leaves. 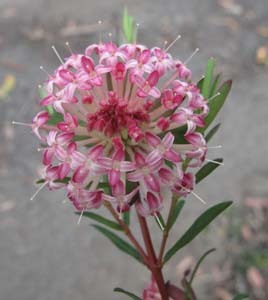 It is larger and more robust than P. humilis, which has similar foliage, but hairy stems. 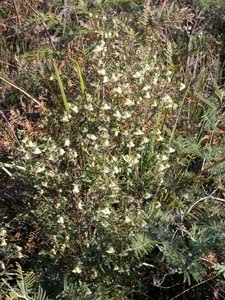 P. glauca is also similar, but is a coastal species with distinctly glaucous foliage and inflorescence leaves that are very hairy.